My obsession with blazers and jackets is real! 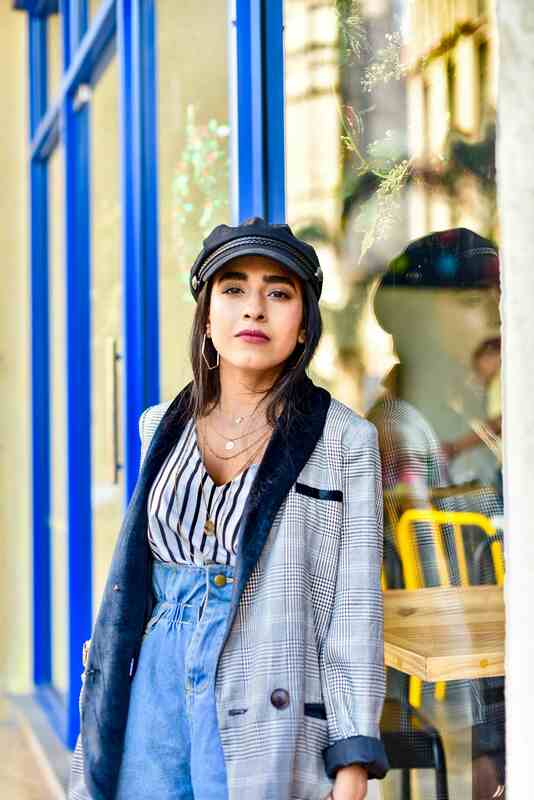 Blazers are already a part of your wardrobe if you work in a corporate or even if you’re in college, in which case, this post is great for you! And if you still don’t have one thinking you didn’t ‘need’ it, then let me try and change your mind. I thought that I didn’t need a blazer either, till I got inspired from so many street style shots and how versatile this one piece could be! 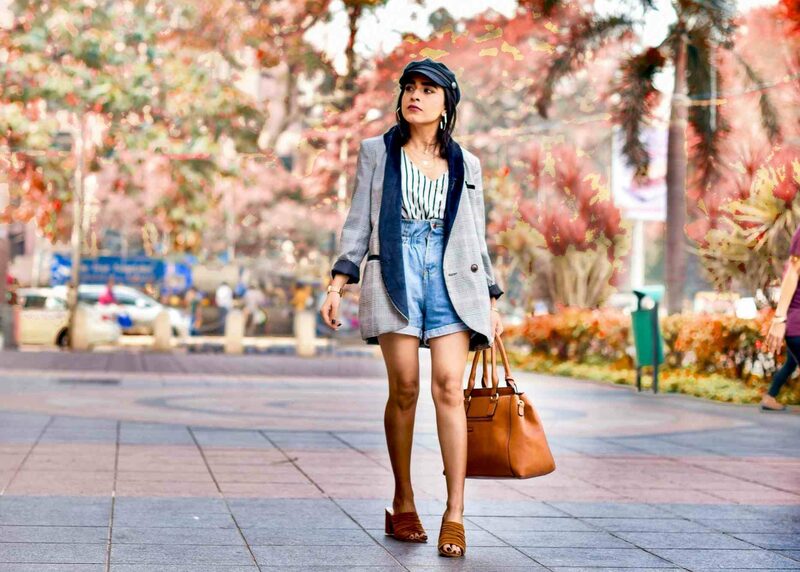 I recently got this classic oversized blazer from Romwe fashion, which is one of my favourite online shopping sites! 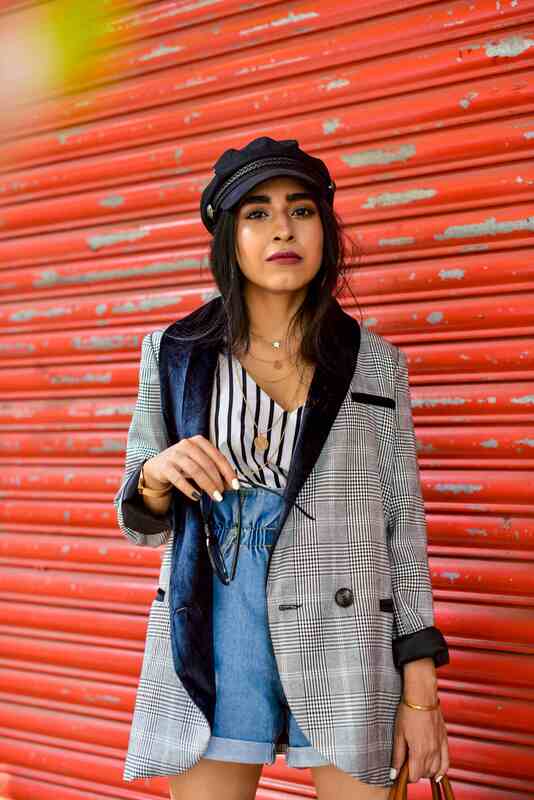 It is a double breasted grey checked blazer with a velvet shawl lapel which hits all the right notes ( read versatility!) 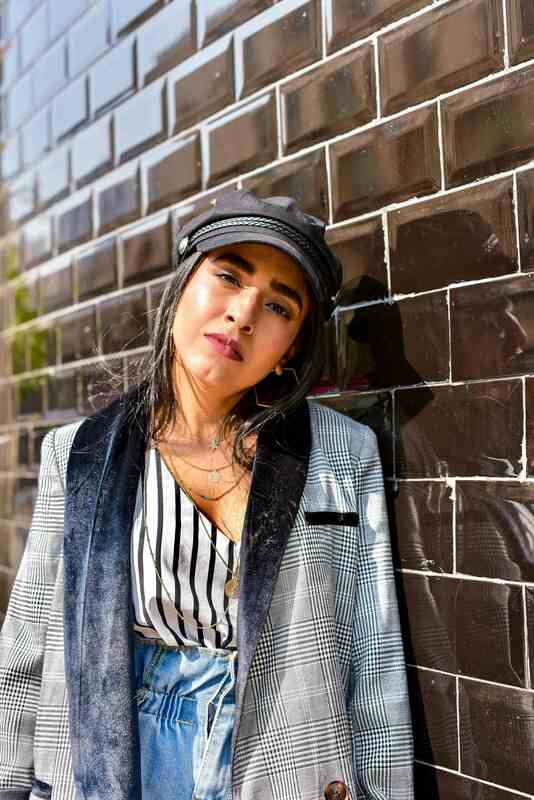 I have already worn it with mom jeans, black trousers, velvet flared pants, etc…Today I am showing you how to take this wardrobe staple and wear it super casually. Along with the blazer, I also got these super cute paper bag waist DENIM shorts from the same site. I have only seen paper bag pants and never in denim, so I had to! Aren’t they flattering? I love mixing patterns and prints and trust me, wearing 2 patterns together will instantly up your style game! 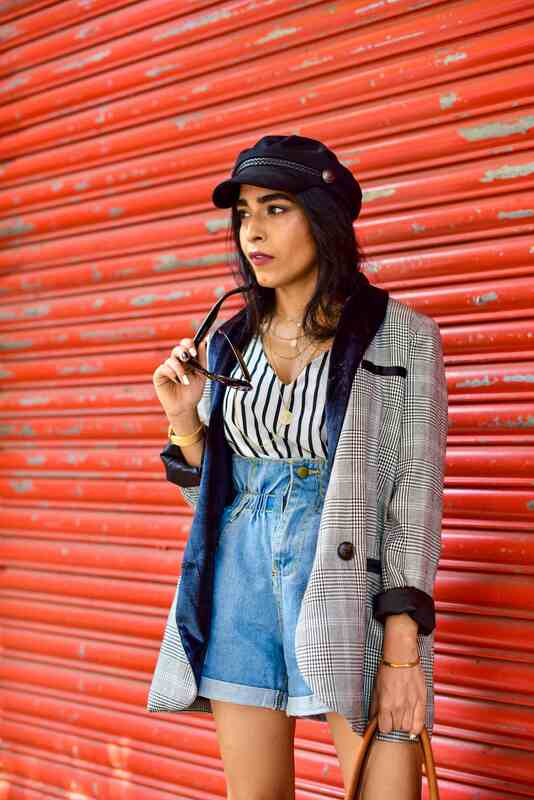 Checks with stripes in the same colour palette or even stripes and dots together look so chic. A black baker boy cap and gold accessories were the obvious choice. What wasn’t the obvious choice – tan mules and a tan tote bag. Scroll down for all the visuals as well as outfit details. Ans let me know in the comments below what did you like best about my outfit! This blazer is super trendy! You are slaying in this outfit, it is looking so cool! 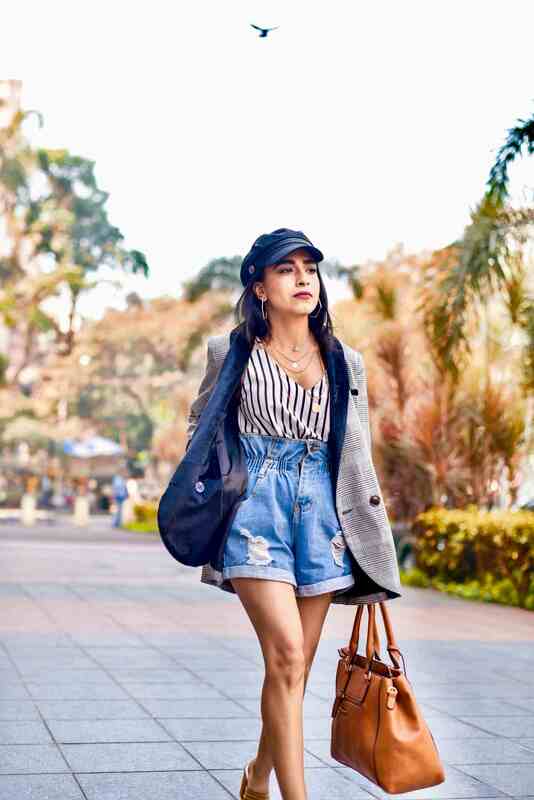 I am addicted to wearing shorts with blazer and can’t wait to try this style. Thanks for sharing.